When it comes to women's jewelry, there are various new jewelry trends that appear every Diwali season. The tough part about these trends is that, it can be difficult to be at pace with them due to budget constraints. Here, on this page I will tell you about latest market trends and flavor of this Diwali season. This should help you in making a trendy choice. Diwali is one of the biggest festive celebrations in India, when both diamond and gold sales increase significantly. Diwali, a five-day fest with each day having its own significance, starts with Dhanteras (also referred to as "Dhantrayodashi" or "Dhanvantari Triodasi" where "Dhan" means wealth). This day is dedicated to welcome Goddess Laxmi to visit our homes and bestow her blessings. Indians world over, on this day buy household items, utensils, gold and silver coins and jewelry. Till few years back when gold price were under control, Dhanteras meant purchasing of gold jewelry only. But, with the rise in gold price over the last few years, buying gold during this festive season might not be the best idea for you. Also, aggressive promotional effort of Diamond Trading Company (DTC) over the last few years has led to rise in preference for diamond jewelry among Indian jewelry buyers. 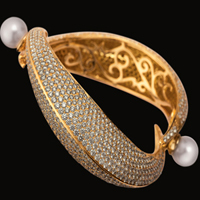 Young urban buyers with purchasing power have started preferring diamond jewelry over plain gold jewelry. Adding to that, diamond prices have also been more stable than gold prices. Further, the recent rally in gold is being driven by market speculation and overall health of the economy. While, the steady uptrend in diamond prices is more firmly grounded in demand and supply dynamics. What's the Latest Diamond Jewelry Trend? Since "diamonds are forever", you would want your diamond jewelry to be in style forever as well. This is because jewelry is a lasting purchase. So, when men buy jewelry for women or women buy something for themselves, they don't want it to be a fickle fashion trend. So, let’s talk about the current jewelry trends. Here, I will share with you what’s hot and what’s not! The classic trends are here to stay. Tried and true jewelry pieces will continue to be popular. While the basic framework for most pieces is same, a dash of style and panache is added to jewelry this season with the use of enamel work, pearls, corals, motifs and innovative setting. Latest jewelry trend is characterized by big size and more extreme than you would have seen in past years. Believe me, it won’t look out of place even if the trend plays out. This season, jewelry has taken a bigger and bolder look. So, give your delicate filigree chains and pendants a rest and bring out all the shine. This festive season, "less is not more" but "more is more". I have listed below some of the popular jewelry trends of this season. The shimmering Polkis (uncut diamonds) whether set in elaborate patterns or as simple strands, accentuated with rubies, diamonds or pearls, is quite easily the favorite and one of the jewelry trends of this season. Moreover, due to the upsurge in the prices of diamonds, a necklace with a mix of diamond and polki will cost you less than a full diamond necklace. 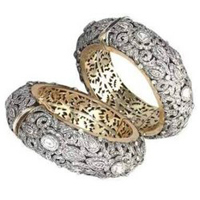 Elaborate bracelets, earrings and rings in polki set in traditional patters are hit this season. 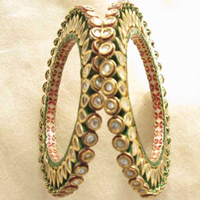 Jewelry houses like Amrapali, Birdhichand Ghanshyamdas, Kashi Jewels and Golecha Jewels have made elaborate use of Polkis in bracelets, chokers, kadas, jhumki, rani haar and tikkas in their collections. 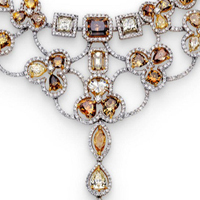 Precious or semi-precious big stones are in vogue. Diamonds in big sizes are in demand. 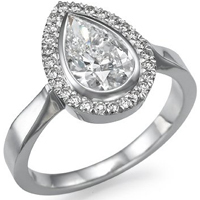 Instead of smaller diamond set in pave setting, flavor of this season is one solitaire diamond in prong setting. Solitaire diamond jewelry has been around forever and shows no signs of going out of style. While looking for solitaires, don’t just stick with round shape. Instead, you can try different diamond shapes. The fancy shapes are very much in trend with colored diamonds adding an extra oomph to your piece of jewelry! 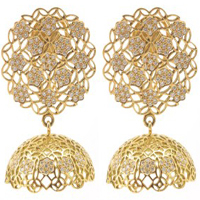 Many jewelry houses have launched jewelry with different motifs this season. 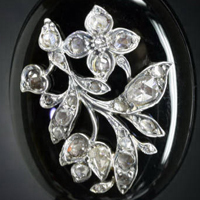 You can try predominant motif jewelry, or stones clustered to make flowers, birds, snakes, elephants etc. Gold and silver no longer need to dazzle. The textured surfaces that are now sweeping the jewelry markets are awesome as they give light weight jewelry a different look. 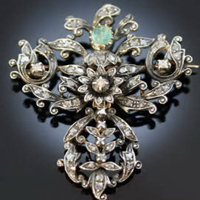 A few styles that are also in fashion today are: Victorian style jewelry trend(which was worn in Victorian era – half silver, half gold with flat diamonds) and Rose Cut Jewelry in open setting (Rose Cut was developed in middle of 16th century and is the primitive version of modern Round Brilliant Cut). 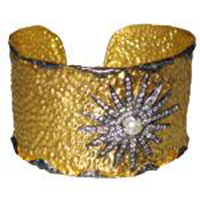 Latest trend in bracelets is carved semi-precious stones surrounded by smaller stones. A touch of creativity and workmanship is added to the traditional kangans to introduce a new wave of 'same shapes with novel treatments', which made the designs edgy and unique. 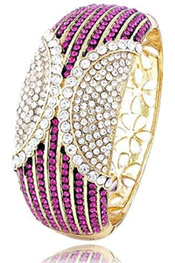 Stack of big bangles and bold bracelets are quite in trend. It is one of the biggest jewelry trends this season which is quite hard to miss. Individual chains are piled on to create the look of layered chains. This will give you more flexibility in terms of the look you want to create. You can add long pearl strings in different colors to match your sari or dress. Fashion-conscious women all over the world are wearing tourmalines, garnets, aquamarines and other stones in thick chains together making chunky necklaces. For a unique take on a classic diamond pendant necklace, wrap it around your wrist and transform it into a bracelet. Women who like dangly earrings should rejoice as chandelier earrings have returned. After being banished from the fashion scene last year, chandelier earrings have made a comeback this year. 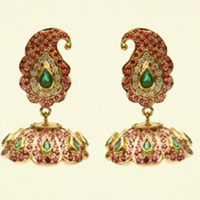 Danglers, chandeliers and jhumkas with cut and uncut diamonds – specially teamed with rubies, emeralds, and sapphires and more often with semi-precious stones are very much in demand. 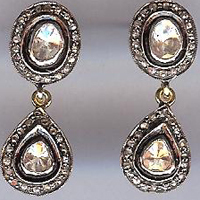 Earrings gives a glamorous look to your personality and makes your look complete. Go with streamlined and light weight Chandeliers or Jhumkis. 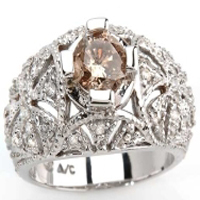 One of the ring trends that has lasted through many seasons is the Cocktail Ring. 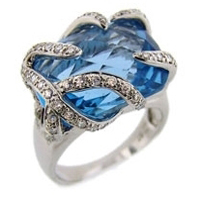 Big and bold cocktail rings are liked by women, as just one big cocktail ring can brighten up the look. These rings show off your confidence, attitude and a controlled opulent look. Though this fashion had come into notice and adopted since long, it’s got managed to stay in trend because of its daring look. Cocktail rings that come with multicolored stones and funky and unique designs are the new rage. You can also experiment with different colored stones like amethyst, coral and garnet instead of just sticking to sapphire and ruby. Have a look at collection of Birthstone Jewelry at Blue Nile. Knowing these trends, will help you to purchase jewelry pieces that are trendy and are taste of this season. However, one of the most important things that you should remember is to wear only one trend at a time. Do not wear stacked bangles or bold bracelets and many chains in neck at a same time. Only one single piece of jewelry is sufficient to make you look stylish and standout in crowd. Still thinking and not confident on what to buy, then play it safe and go with a staple piece of jewelry that never goes out of style. Yes, you guessed it right its Solitaire diamond jewelry; it’s your all-time friend. Whenever you are in doubt or not sure about the trend to follow, then stick with solitaires. If all else fails, don't be afraid to try and start your own trend. Follow your heart and pick out a piece of jewelry that you find unique. Who knows? You might have a knack for setting jewelry trends! Last but not the least, we love to hear from our readers! Do share your thoughts with us in the comment section about any other jewelry styles that you may want to add to the list. We would love to know, which are the hot-selling trends at your store, in your area? Feel free to leave your comments below. 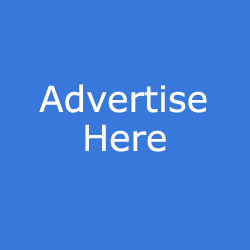 Feel free to share if something is in your mind and want it to be covered on this site. Did you liked this article? Sign-up my FREE weekly newsletter and I'll send you more awesome new additions on this website along with latest jewelry happenings around the world, and download my Jewelry Design Album for FREE! I promise to use it only to send you Diamond Jewelry Pedia Newsletter. 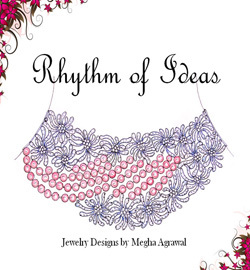 JOIN DJP EMAIL GROUP and download my Jewelry Design Album for FREE. Copyright © 2010 diamond-jewelry-pedia.com. All Rights Reserved.